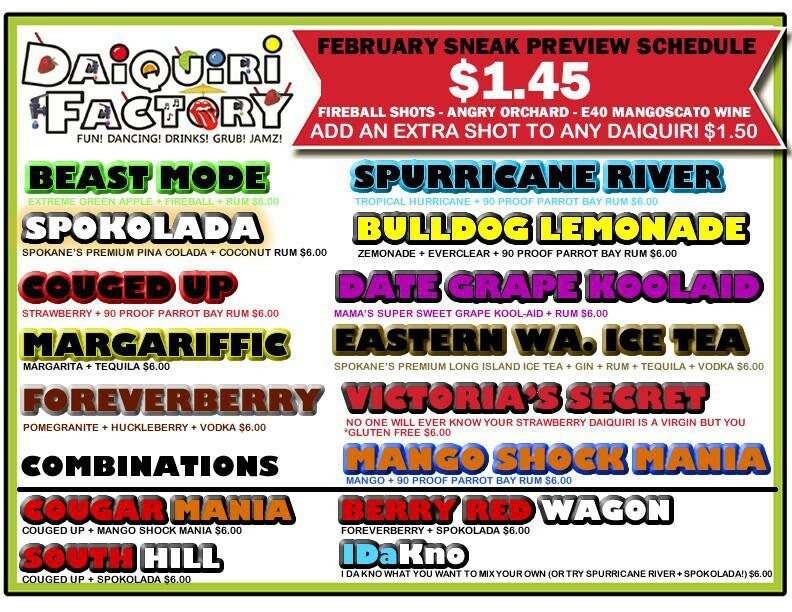 It could have been a quickly rescinded bad joke or an opening-weekend publicity stunt — but the “Date Grape Koolaid” is still on the menu at the Daiquiri Factory, and a protest is planned for this evening. Based on Facebook posts throughout the night and so far today, the business has no intention of changing the name. We wrote about this yesterday morning and have not heard back from anyone at the Daiquiri Factory. Owner Jamie Pendleton defended the name to KXLY and says many daiquiri bars have “controversial” names. Other businesses have listened to concerns — Smoov Cutz owner Jason Watson indicated they are rethinking their business association. The protest is planned for 5:30 pm this evening outside the business at 121 N. Wall St. in downtown Spokane. More than 100 people have indicated they are going, and there is also a boycott page on Facebook.